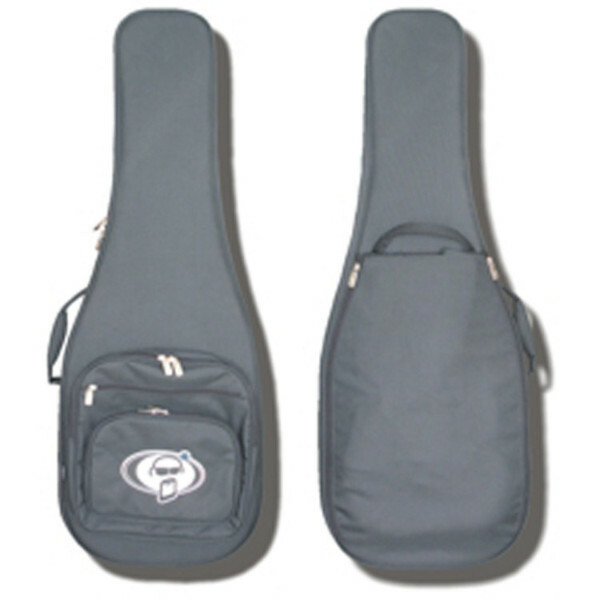 Lightweight yet sturdy, Protection Racket Bass Guitar Deluxe cases feature a waterproof Racketex covering concealing a rigid Rocket Foam structure and non-abrasive Propile fleece lining to keep your bass safe and cosy between gigs. Tough handles and zips ensure your bass travels safely and easily wherever you go, and the built-in luggage label means you'll always know which bass is yours. High abrasion resistance 600 denier polyester. It won't fade, crack or shrink. 100 waterproof high stability in extreme climatic conditions. A non-abrasive, synthetic fleece that removes surface moisture and preserves tonal stability between gigs. It maintains instrument wellbeing and polishes and cleans your guitar in transit. Rocket Foam is a Closed-cell foam and has a calculated degree of hardness determined by its density, between 60-65Kg/m³. It is strong enough to walk on without major distortion. Most of the cells or bubbles in Rocket Foam are not broken; they resemble inflated balloons piled together in a compact configuration. This makes Rocket Foam strong and fairly rigid because the bubbles are strong enough to take a lot of pressure. Based in Cornwall, Protection Racket made their name making protective bags for surfboards. Their experience of protecting these fragile boards has since been transferred to protecting musical instruments. Their mission is simple: to provide the musicians of the world with transportation systems of the highest quality, that combine effortless transportation and functionality with maximum protection, whatever the gig.